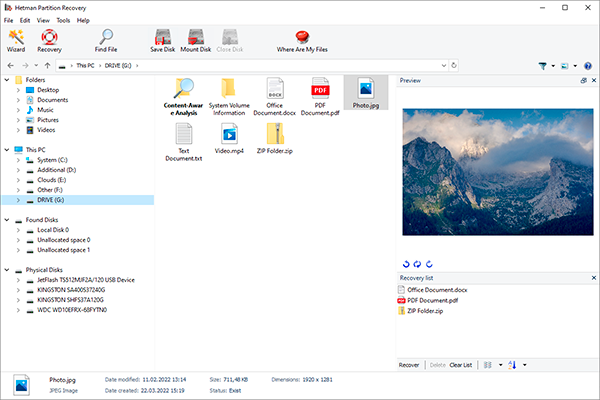 Undelete deleted files and folders, recover files from formatted, corrupted, repartitioned and inaccessible storage media in step-by-step mode. A comprehensive set of tools can rebuild damaged volumes and partitions, and fix corrupted file systems. Undelete files, unformat partitions and recover corrupted hard drives with easy step-by-step wizards. A single, all-in-one solution will take care of all your disk and data recovery needs. Hetman Partition Recovery can unerase deleted files and folders, recover files from formatted, corrupted, repartitioned and inaccessible storage media. A comprehensive set of tools can rebuild damaged volumes and partitions, and fix corrupted file systems. 4Media iPod to PC Transfer can transfer music, videos,photos, podcast, and TV shows on your iPod/iPhone to PC and add them to your local iTunes Library. It transfers music/video from PC to iPod/iPhone and allows you to edit playlists on your iPod. Print to PDF from any application that is able to print or simply drag and drop the file onto the application to print it, ideal for creating copies of bank statements, payments, online ordering, conversions, screen shots etc etc. A set of more than 20 software utilities including but not limited to the ones that can help you get the best performance out of your computer. It also provides an automatic and a one click solution to keep your computer clean and error free. AvtoK is a multi auto-clicker software for recording and playback of actions performed by your keyboard and mouse. These recordings can be played at any time, any number of times.